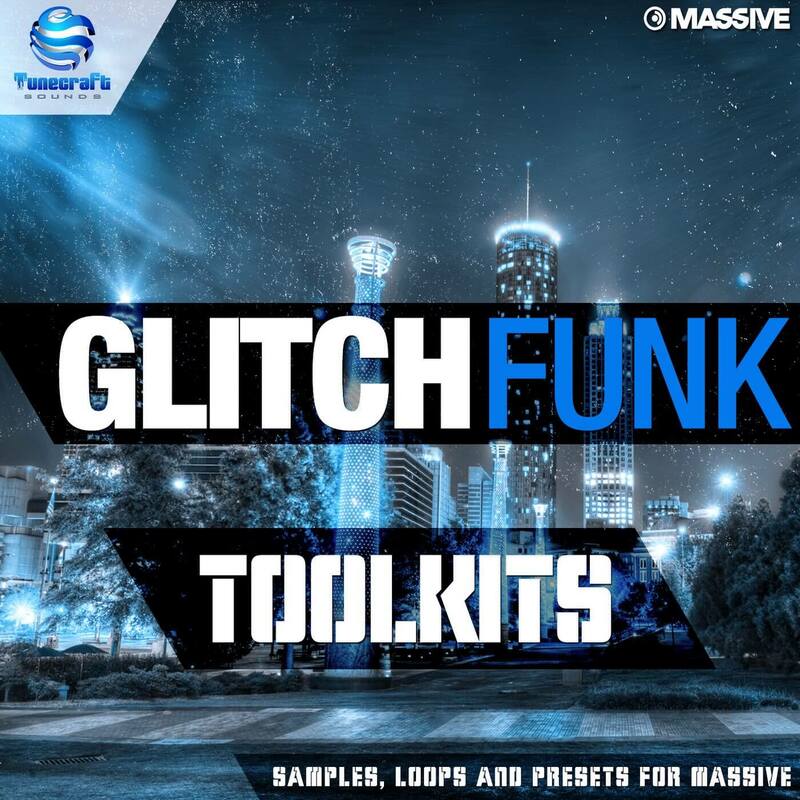 Tunecraft Glitch Funk Toolkit is a must have collection compiling more than 300Mo of unusual and fresh samples, and an essential pack for any glitch hop, neuro hop, electro or bass music enthusiast, or even if you’re a producer looking for an highly inventive and funky sound suite! Professionally created and mixed with high end processors and plugins, and state of the art processing techniques, it has been designed to help you get that polished and crispy sound with ease: All the drums, basses, synths and loops – ranging from 105 to 115 BPM – have been flawlessly layered and processed, so all you need is fire them in your tracks, adjust to your taste and watch them go! This pack features 10 comprehensive ready-to-drop drum kits, each sorted in 5 groups (Layered Kicks / Layered Snares / Hats / Percussions / Other) to use directly for instant results. We also included the separate drum hits to split and mix them differently and recreate your own drum pattern. It also features 25 heavy modulated WAV kits with unique basses, neuro reeces and growls sorted by key: Use these to instantly add life to your bass lines with no fuss! But it would be missing something if we wouldn’t have added 7 funky and key labelled kits, as well as 96 synths shots to add funk and spice, or help you find inspiration! Finally you’ll get the carefully crafted Massive presets we used to create the raw bass materials as a bonus if you want to create yours! 144 drum hits finely layered and sculpted to mix and match your own kits, broken down into hard hitting kicks, snappy snares, hats, fills, percussions, and more. 210 shattering bass shots with cutting reeces, heavy filtered basses and distorted neuro filth – all key labelled and ready to use! Give the preview a go and judge for yourself!